It’s not often characters are faced with the problem of fighting off their own clone. There are a few characters here and there but it’s even less of a cliche that a major character’s clone/”son” is fighting them on behalf of the original’s own values. There’s a pretty famous scenario that somewhat resembles it but not done in such a modern fashion as it is in the Metal Gear series. 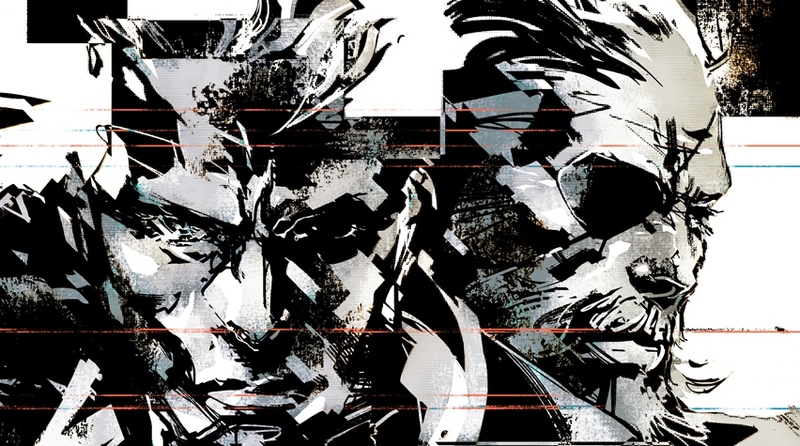 Big Boss and Solid Snake’s relationship may be one of the most complex in entertainment, let alone fiction. And it’s deep enough that to just call it entertainment almost feels like an understatement. There are many great rivalries, but few can compare to the level of simultaneous disdain and attachment opposing characters have for each other. Most likely you’re familiar with Big Boss and Solid Snake’s relationship. 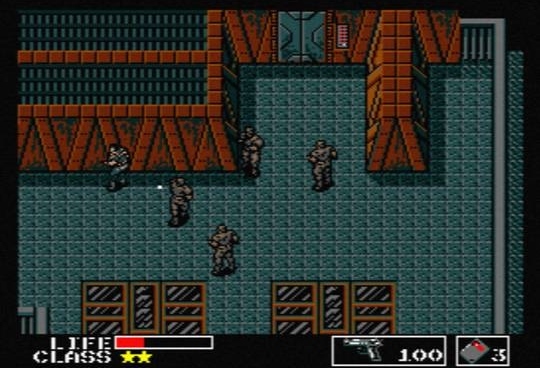 Though many fans see the series starting in 1998 with the PS1 release Metal Gear Solid, many never had the chance to experience the original Metal Gear, originally released in 1987. Back to a simpler time… When you would run from left to right and just shoot EVERYONE. Special agent codenamed Solid Snake, a rookie member of elite special forces group FOXHOUND, is sent on his first mission by the operations commander known as Big Boss. Upon reaching his destination, Snake begins to uncover plans for a walking nuclear tank, a portable death machine; capable of ending huge portions of the population if the user should so wish, which is what the enemy Snake is after plans to do, or at least use this “Metal Gear” (Ta-da) to become a world superpower. Eventually we discover that Big Boss is the mercenary behind this coup to use the Metal Gear, hoping to rival governments all over the world in terms of force and power. By using Snake, Big Boss would have him captured relay false information to all related parties- though he’d underestimate Snake and was defeated, though, of course, it didn’t end there. After a scientist seems to have discovered a problem to the world’s energy crisis in the distant future of the late 1990s, he is kidnapped by soldiers in Zanzibarland. Snake is retired but brought back to retrieve the scientist and end the new Metal Gear being created. This is, of course, Big Boss again, not to be defeated by some rookie agent that he set up in the first place. Snake once again saves the day and the world by defeating Big Boss. But it’s not until the events in Metal Gear Solid that possibly the craziest twist of all is revealed- not only is the main antagonist of the game (Liquid, who demands the body of Big Boss be delivered to him) a brother to our hero Solid Snake, but that they’re both the product of a government funded cloning program, Les Enfants Terribles, in an effort to clone Big Boss; who was seen as the perfect combination of soldier and spy. So certain elements have always been in the Metal Gear series. A spy is sent to infiltrate (usually) an island of some sort to stop super-powered terrorists from using a new Metal Gear weapon. What was initially a case of “Super-Spy stops supervillain turned into Luke Skywalker finding out that Darth Vader was his father after he’d already killed him, that kind of thing. Only Big Boss wasn’t dead, but in a catatonic state. So what is the difference between Big Boss and Solid Snake? In some instances the differences are clear. Solid, being a clone of Big Boss is fighting for the good guy (right?) and it’s often been against Big Boss or those believing they’re carrying out his wishes. Liquid, Solidus, and in a sense, Ocelot, all play a part not unlike Bane to Ra’s al Ghul in The Dark Knight Rises. From this standpoint, if Solid Snake is the Dark Knight himself, it’s clear who’s the “good guy” and who’s the “bad guy.” Big Boss is willing to kill those who stand in his way of achieving his goals…but so is Solid Snake. A major theme of Metal Gear is to know who and what you’re fighting for. Snake often finds out the truth behind his missions when it’s way past the point of no return and an immediate threat must be dealt with while this will, unfortunately, further benefit those already in power in one form or another. At the very least, there are so many uses of smoke and mirrors that someone ends up getting away to do more damage later. So while Snake quotes Gray Fox in saying that he’s “not a tool of the government…or anyone else.” he also recognizes his place in the food chain so to speak. He’s also aware that the reason he was given his limited time on earth was essentially to kill and steal for the most powerful force on earth. It’s in this way we come to the similarities. Aside from just being old white guys. Aside from the physical, Snake and Big Boss resemble each other in multiple ways. We can certainly see this in Metal Gear Solid 3: Snake Eater, where we played as Big Boss before that title and he was known as Naked Snake. He too, is a highly skilled and talented agent that gets in over his head by simply trying to do his job which, until this point, he also believed to be the right thing. 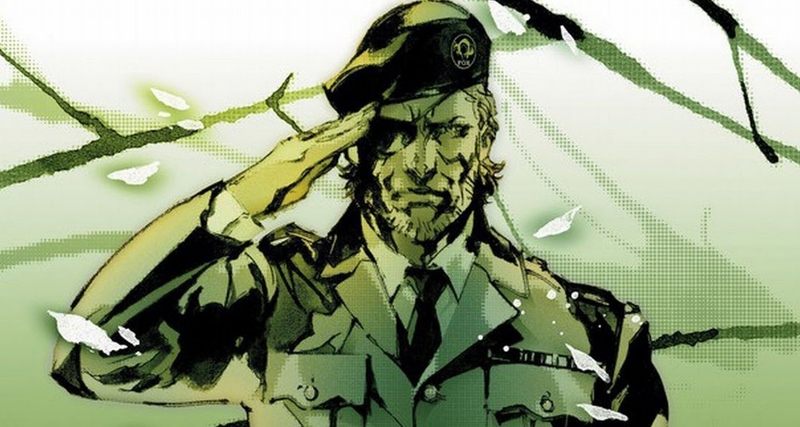 But after the events of Snake Eater, wherein Big Boss received his famed title, he also discovered that his mentor-turned-enemy was actually still working against the real villains all along…and would be forever branded a traitor. This leaves him with a sense of despair he just can’t shake; that no matter what is done or how righteous you are- you’re dispensable. If the best of us can be used and thrown away, hated or forgotten, what is any of the work for? So those in power can gain more power? It seems that much of Big Boss’ conflict stems from this though he went through a lifetime of war before being taking on this new perspective. If you’ve ever questioned your life choices, this is a nuclear bomb of second guessing oneself. Big Boss realized the way he was living may not have been the right way while Snake never seemed to have a choice. What’s worse would be up to each player. A lifetime of decisions you’ve made under false pretenses or being made to serve warmongers? So both share this knowledge that their lives, and the lives of others, are as dispensable as an empty cartridge of ammo. If they can’t be utilized in the first place, they matter even less. At least, that’s how it can be seen and it’s a valid idea to consider. The difference in Big Boss and Snake however, comes from what they do with the same information. So Big Boss begins to see freedom, true freedom as something chaotic- there is no organization, there is no leadership; there’s only that individuals’ own two hands and what they do with them. Kill or be killed, if that’s what the situation calls for. While this might attract a certain type of individual, the truth of that type of society (if it can be called that), is that it just wouldn’t work. Not in the sense that Big Boss meant anyway; where only soldiers would thrive and the weak would be killed. This is in complete opposite ideologies of Major Zero, aka Cipher, whose idea of the future is so secure that people’s liberties are being taken from them without their consent. But Snake’s reaction to being a living weapon? It’s summed up perfectly with what he tells Raiden (A man in a very similar situation to Snake) at the end of MGS2. And Raiden’s real name on those dog tags? Fartsniff McTittybutt. Snake regularly shrugs off the title of “Hero” knowing that he’s done a lot of things he can’t take back. But with the time he’d had left (If we’re going by the timeline, Snake would have died in late 2014/2015, give or take), he lived out the message of The Boss better than Big Boss, Zero, or any other that might have known her and what she lived and died for- to take what you know and pass it on. Snake didn’t wax poetically throughout the majority of the games but he had several moments that let us know he knew what he was doing in life, and there wasn’t a time where he wasn’t fighting for what he believed in. 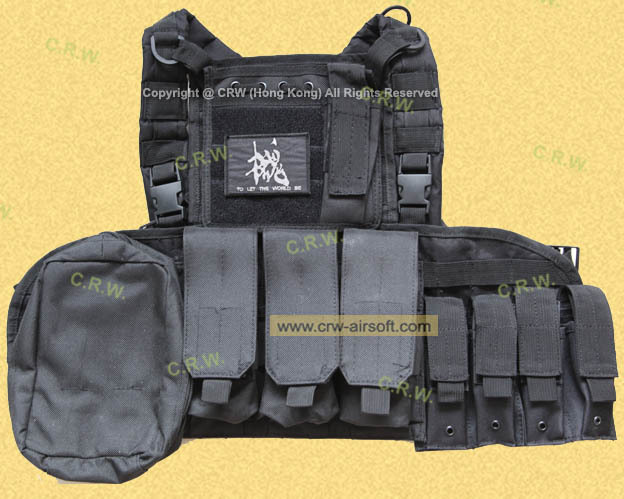 If you didn’t notice the patch on Snake’s vest in MGS4, it reads (In Japanese Kanji), “To let the world be.” This is what the Boss wanted and it’s how Snake tried to live. Do as much as he could without messing things up any further than they already had been. And this is the major difference between the father and son. While the son recognizes futility and does what he can with the time he has left, Big Boss was burdened with it; attempting to carry a weight we’re not supposed to be carrying; that we all die one day and it’s not up to us how it happens. The Phantom Pain is meant to show Big Boss’ complete transformation into a “demon” and the villain players originally came to know him by. And this game should be next to perfect. But Solid Snake’s message is the lesson to take away from the games while Big Boss’ downfall is one to avoid. This entry was posted on 09/01/2015 at 1:26 am and is filed under Whatever with tags Big Boss, metal gear solid, solid snake, The difference between. You can follow any responses to this entry through the RSS 2.0 feed. You can leave a response, or trackback from your own site. You forgot angst. Big Boss is all about that angst!